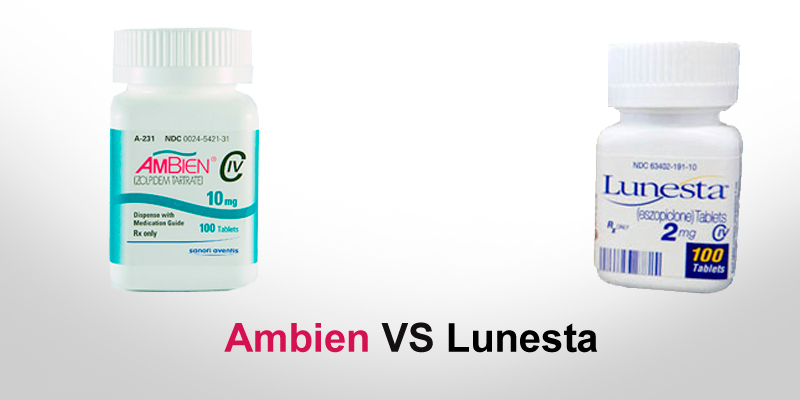 Ambien and Lunesta are both powerful prescription medications used to treat persistent insomnia. Both are in a class of drugs called nonbenzodiazepine hypnotics, which act on GABA receptors in the brain to induce a calming effect that is helpful for initiating sleep. They are also available in longer-lasting compounds, designed to help maintain sleep. Different patients will benefit more from one medication than the other, and it is important to know the differences between the two. To that end, a discussion of Ambien versus Lunesta in terms of effectiveness, side effects, and cost is required. Ambien, the trade name of the medication Zolpidem, is usually prescribed for short-term treatment of persistent insomnia. Studies have shown Ambien to be effective for initiating sleep, but not for sleep maintenance. However, extended release compounds are available and are designed to release the medication into the bloodstream slowly, helping you to stay asleep. The effectiveness of this extended release mechanism varies from person to person, and your doctor will likely experiment with different formulations and doses to give you the most relief from your insomnia. 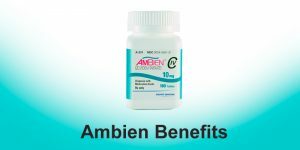 In general, patients treated with Ambien are satisfied with its results. Like any medication, however, Ambien has side effects. The most commonly reported of these include dependency, sleepwalking, and amnesia. However, relatively few patients have reported other side effects, such as strange dreams, anxiety, or a metallic aftertaste. It is important to note that these three side effects are much more commonly reported by patients taking Lunesta. Other side effects of Ambien include headaches, hallucinations, increased appetite, change in libido, and impaired judgment. If you experience any of these side effects, you should discuss them with your doctor. Eszopiclone, marketed under the trade name Lunesta, is also prescribed to help with initiation of sleep. Consumer reviews show that Lunesta is similar in efficacy to Ambien for treatment of persistent insomnia. Like Ambien, treatment with Lunesta is often limited to a short period of time to avoid dependency. While some dependency occurs, this effect appears to be less common in treatment with Lunesta than with Ambien. As with Ambien, your doctor will likely experiment with different doses and formulations of Lunesta to achieve maximum insomnia relief. Patients treated with Lunesta report less sleepwalking, amnesia, and tolerance to the drug over time than patients treated with Ambien. However, an unpleasant, bitter or metallic aftertaste is reported with a higher frequency in patients taking Lunesta. The same is true with headaches and next-day drowsiness. Other side effects reported are similar in type and frequency to those reported in patients taking Ambien. While the cost to the patient depends on individual health insurance plans and doctor recommendations, the baseline cost of Ambien is slightly higher than that of Lunesta. However, there are generic medications available to substitute the short-acting Ambien formula. These generic medications are much less expensive, but are not available to substitute the long-lasting Ambien and Lunesta medications. For this reason, many doctors will begin treatment with a generic Ambien if price is a concern for the patient. If the slight difference in price is not a concern, many patients opt for Lunesta because of its efficacy and the fact that its side effects are less common. 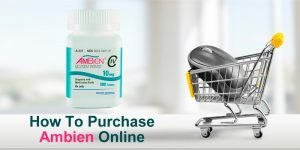 When price is a major concern, many patients opt for generic Ambien because it is much less expensive and covered under many health insurance plans. However, Lunesta seems to be similarly effective in treating persistent insomnia with fewer side effects and less risk of dependency. This, to many patients, is worth the extra cost. To avoid drowsiness the next day, both medications should only be taken when a full seven to eight hours is available for sleep. It is also advised not to drive after taking these medications, as they can impair attention and reaction while operating a vehicle. These medications are also more likely to achieve the desired relief from insomnia in combination with good sleep habits. These habits include avoiding caffeine, getting regular exercise, avoiding meals within two hours before sleep, and stress relief through meditation or deep breathing before bed. 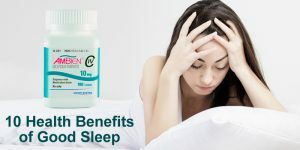 In combination with lifestyle adjustments, both Ambien and Lunesta can be extremely effective treatments for insomnia.